Santiago Paz Speaks About Authentic Fair Trade | Small Farmers. Big Change. Santiago Paz was born and raised in the northern countryside of Peru. He went on to University, studied agronomy and now manages CEPICAFE in Piura, an agricultural co-op with about 8,000 members. 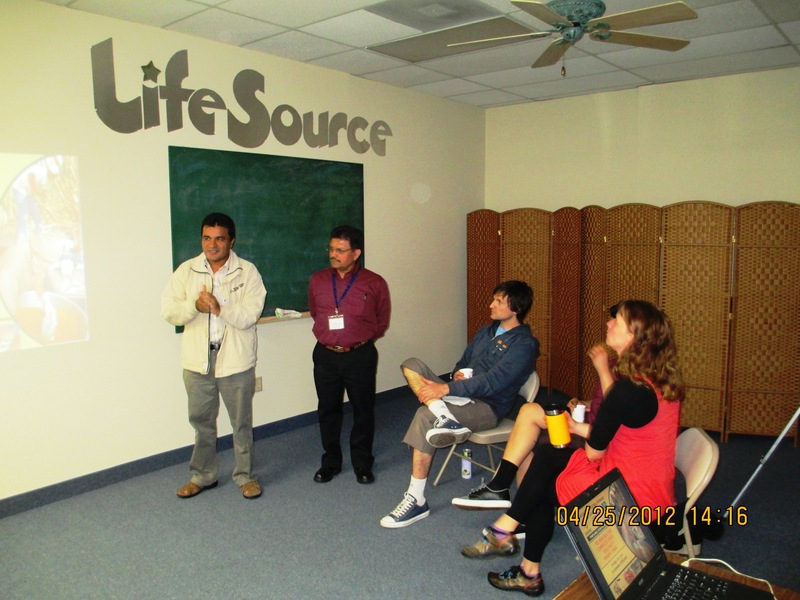 Santiago visited Equal Exchange’s Portland office as part of a tour of the US and Canada. While here with us, Santiago spoke before cafe owners, store demo managers, and local co-op members. He gave a rousing presentation before 200 small scale farmers for the FUNDEPPO dance party. It was an inspiration to hear him share his first hand impressions of what is happening in fair trade. Santiago’s presentation is divided into two parts. The first covers the impacts of fair trade in Peru. The second looks at the changes in the Fair Trade standards and why the changes are bad news for small scale farmers. The impacts section is full of facts and figures detailing the growth of fair trade in Peru. One of the main points he made throughout the talk was that fair trade’s impact in his region was very large. It was not a theory of impact or a trickle of change, he wanted his audience to know that in Piura, fair trade is helping build economic, political and social stability in the region. For him this is a major impact. The second section looks at the risks of changing a system focused on small scale farming to include plantations. Santiago thinks this is a grave error. He sees his producers competing with large scale operations from wit in the fair trade system. This is an unthinkable corruption of the heart of the movement. Additionall, he states that FairTrade USA’s Fair for All policy falls very short of its stated goal of including more farmers in the system. Instead, Santiago believes that the changes grant market access to plantations, the exact group that does not need market access. One example he used to illustrate this point was an importer from the North, searching the Fair Trade register finds a small co-op with a limited green bean supply and limited English skills. Then the buyer finds a plantation with plenty of supply and good English. Who will that importer buy from? Fair Trade’s genesis was rooted in helping the small scale co-op. With plantations in the fair trade registry, those roots may well wither and die. Over his seven day visit to Portland, Santiago spent time with friends new and old. He gave talks, answered questions, and helped local fair trade supporters think through a complex time in the Fair Trade movement. He is humble and generous when it comes to sharing his coffee expertise. We hope he comes back to see us soon. To Tell the Truth: Who Owns Fair Trade?